TOKYO, September 21, 2018 - Ricoh Company, Ltd. today announced that its products were chosen as finalists at US-based IDEA 2018 (International Design Excellence Awards). The IDEA Awards, presented by the Industrial Designers Society of America, are one of the most prestigious awards in the United States, and highly regarded internationally. IDEA 2018 received more than 1,870 entries from nations around the world, with the finalists selected based on the results of a review of multiple assessment criteria including the innovation, user experience and social consideration of each design. This system analyzes brain function by measuring weak MEG brain activity. 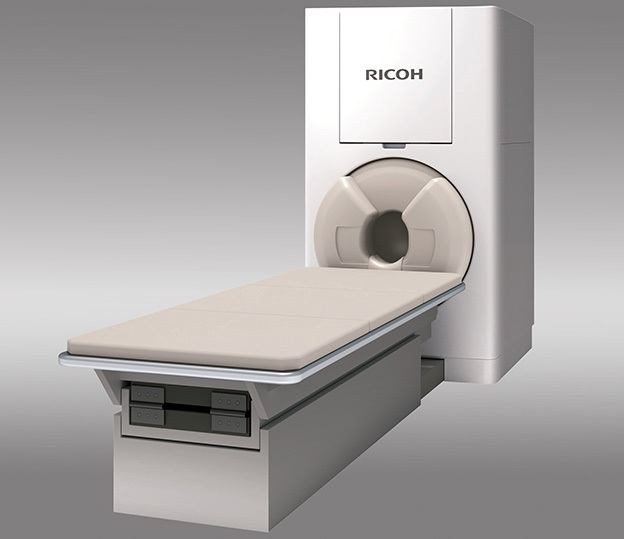 Ricoh revised the complicated operation and screen description by conventional systems to achieve a user interface that strikes a balance between operability and functionality based on clinical use cases. 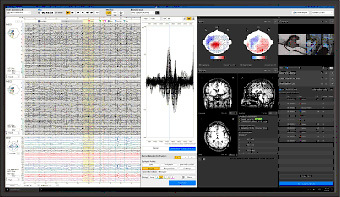 As a state-of-the-art medical device satisfying the demand for brain function analysis and imaging, RICOH MEG contributes to various fields including epilepsy diagnosis, elucidation of complicated brain functions and applied research using brain science. 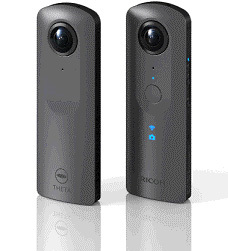 The RICOH THETA V is the high-end model of the RICOH THETA series of 360-degree cameras that are able to record spherical still images and video of scenes surrounding the photographer. 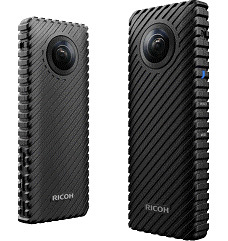 The RICOH THETA V inherits the design concept of the series, which has been selected for many design awards to date, and achieves dramatic performance improvements including 360-degree video recording with image quality equivalent to 4K resolution, high-quality sound recording that supports 360-degree spatial audio and high-speed transfer allowing large volumes of data to be viewed comfortably. The RICOH R Development Kit is a camera specifically designed for the live streamlining of 360-degree spherical video, and is capable of continuous 24-hour operation. The characteristic fin design applied to the whole surface of the body incorporates radiation performance (a heat sink) to release heat form the main unit as it is generated due to continuous 24-hour operation. In this way, the product combines functional and design qualities. The outer case uses die-cast aluminum, providing the rigidity of professional devices used in live show venues and other places while helping to enhance the quality feel as an exterior design.